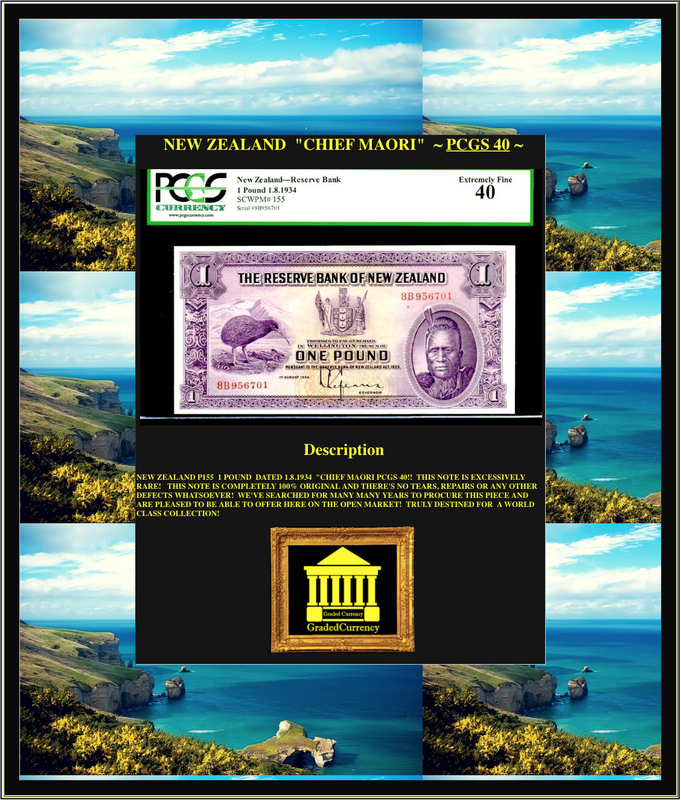 NEW ZEALAND P154 10/- (SHILLINGS) 1.8.1934 "CHIEF MAORI" PCGS 35PPQ - FINEST KNOWN OF ONLY 3 EVER GRADED by ALL GRADING CO'S!!! OTHER PIECE IS A FINE 15 and a CGC 35PQ! 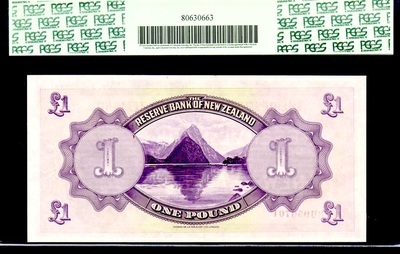 THIS NOTE IS EXCESSIVELY RARE, HENCE ONLY 2 OTHER EVER GRADED (with 1 IN ONLY FINE 15) AND IS EVEN MUCH RARER THAN THE 1 POUND! 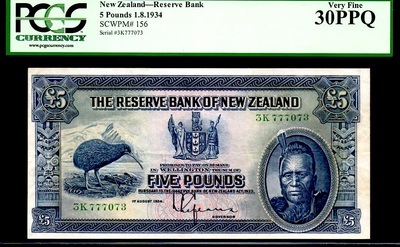 IN THE SERIES THERE'S ALSO A 50 POUND. THIS NOTE IS COMPLETELY 100% ORIGINAL AND THERE'S NO TEARS, REPAIRS OR ANY OTHER DEFECTS WHATSOEVER! WE'VE SEARCHED FOR MANY MANY YEARS TO PROCURE THIS PIECE AND ARE PLEASED TO BE ABLE TO OFFER HERE ON THE OPEN MARKET! TRULY DESTINED FOR A WORLD CLASS COLLECTION! 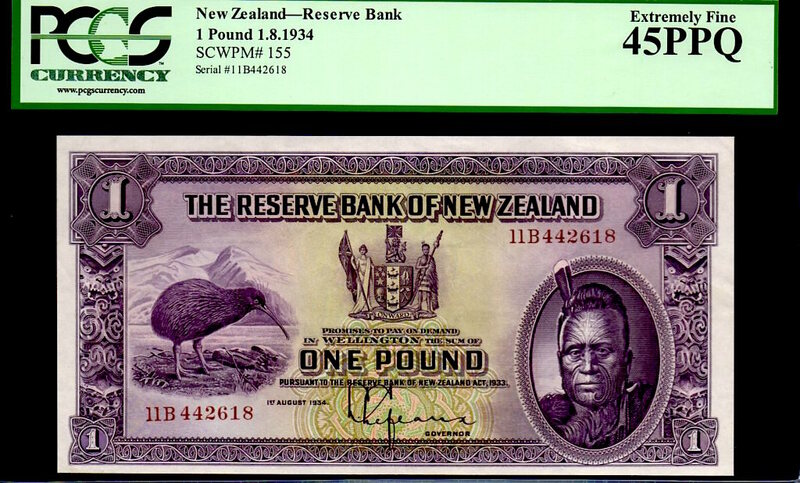 NEW ZEALAND P155 1 POUND DATED 1.8.1934 "CHIEF MAORI PCGS 45PPQ!! 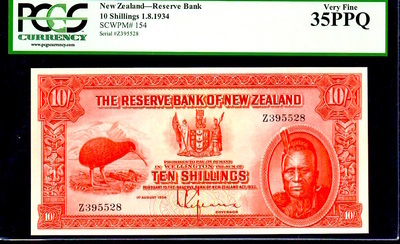 THIS NOTE IS EXCESSIVELY RARE! THIS NOTE IS COMPLETELY 100% ORIGINAL AND THERE'S NO TEARS, REPAIRS OR ANY OTHER DEFECTS WHATSOEVER! 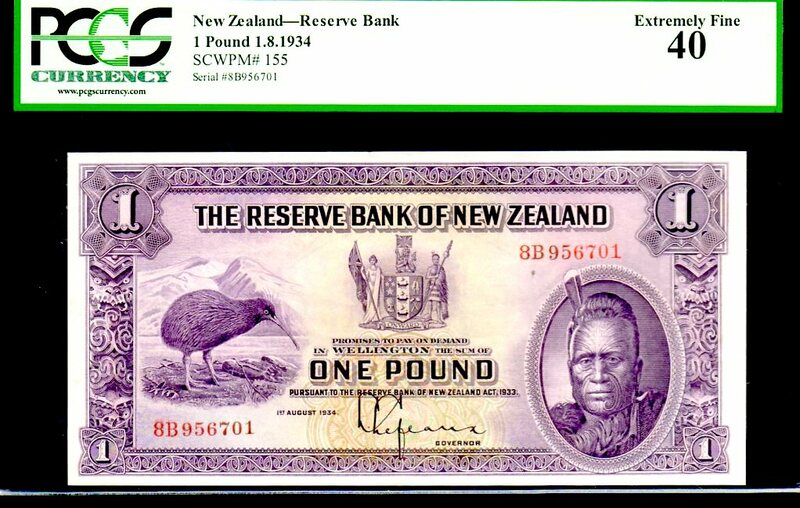 WE'VE SEARCHED FOR MANY MANY YEARS TO PROCURE THIS PIECE AND ARE PLEASED TO BE ABLE TO OFFER HERE ON THE OPEN MARKET! TRULY DESTINED FOR A WORLD CLASS COLLECTION! NEW ZEALAND P155 1 POUND DATED 1.8.1934 "CHIEF MAORI PCGS 40!! 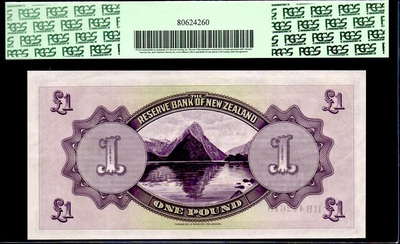 THIS NOTE IS EXCESSIVELY RARE! THIS NOTE IS COMPLETELY 100% ORIGINAL AND THERE'S NO TEARS, REPAIRS OR ANY OTHER DEFECTS WHATSOEVER! WE'VE SEARCHED FOR MANY MANY YEARS TO PROCURE THIS PIECE AND ARE PLEASED TO BE ABLE TO OFFER HERE ON THE OPEN MARKET! TRULY DESTINED FOR A WORLD CLASS COLLECTION! 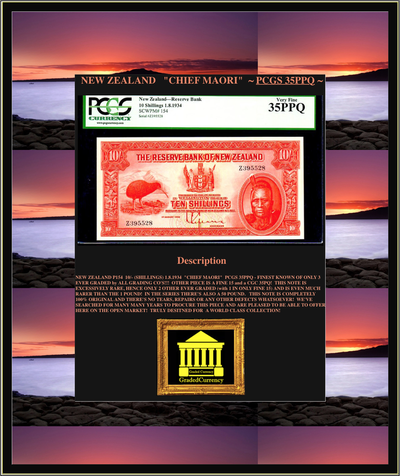 NEW ZEALAND P155 "CHIEF MAORI" 1.8.1934 1 POUND GRADED CGC 35PQ VERY FINE! 3rd FINEST KNOWN CGC! A VERY SOUGHT AFTER PIECE IN EXTREMELY HIGH GRADE! 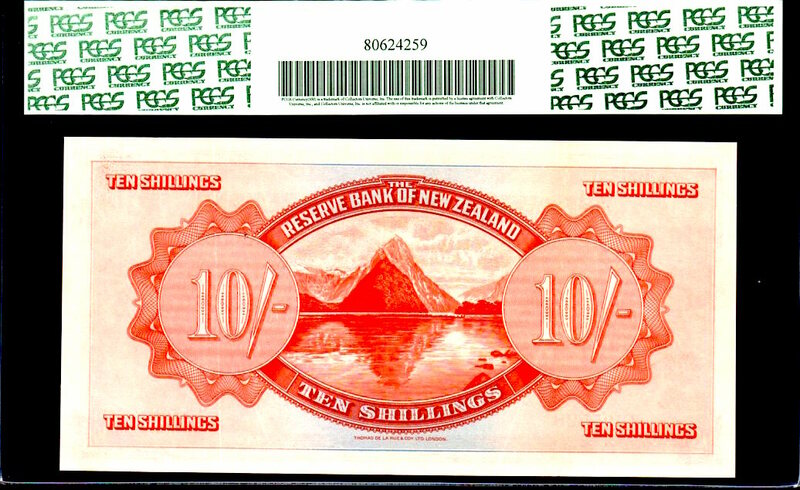 THIS NOTE IS 100% ORIGINAL AND HAS NO TEARS, REPAIRS OR DEFECTS WHATSOEVER FROM ITS ORIGINALITY. THIS NOTE IS SELDOMLY SEEN AND WHEN IT COMES UP IN THE MARKET, WELL, IT'S NORMALLY A VG OR FINE CONDITION! 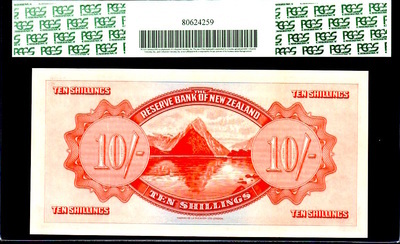 WE'VE SEARCHED MANY YEARS TO FOR THIS ELUSIVE PIECE AND ARE PLEASED TO BE ABLE TO OFFER IT HERE IN THE OPEN MARKET! 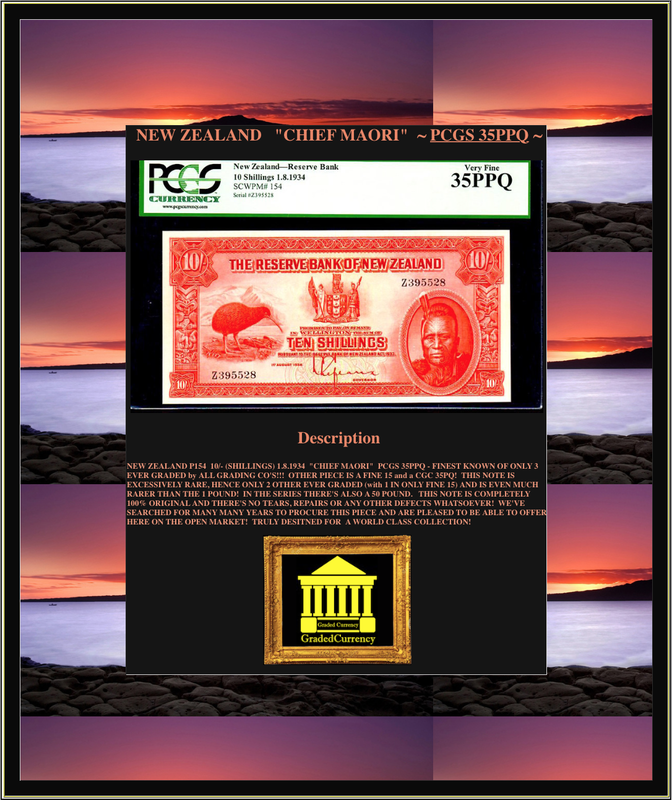 NEW ZEALAND P156 "CHIEF MAORI" 1.8.1934 5 POUNDS GRADED PCGS 30PPQ VERY FINE! 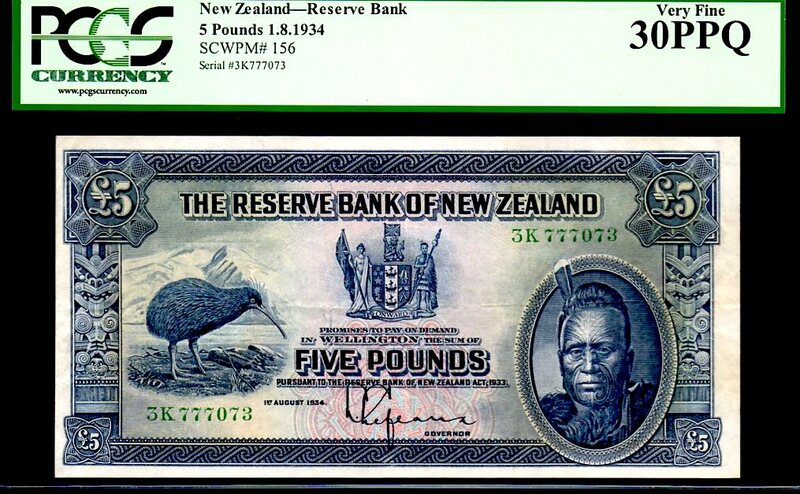 NEW ZEALAND P159a "CAPTAIN JAMES COOK" 1967ND 1 POUND GRADED CGC 67PQ ULTRA GEM!! 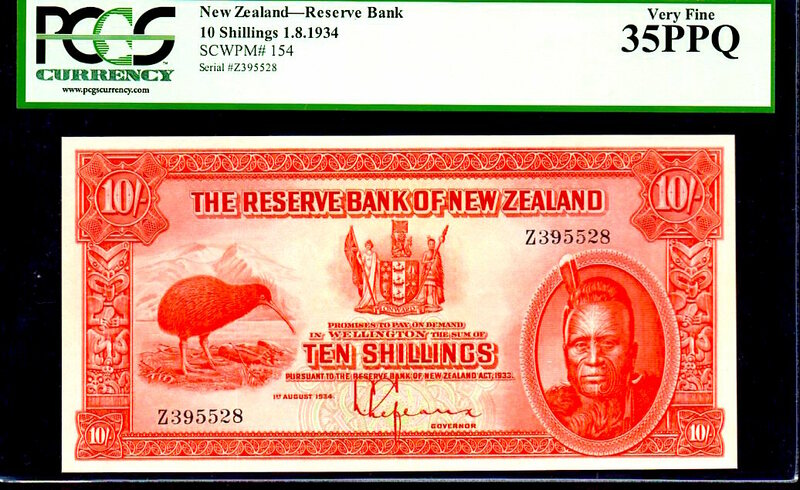 PICK # 161d NEW ZEALAND 10 POUNDS DATED 1967 GRADED PMG 66EPQ! THIS IS THE HIGHEST GRADE (BY ALL 3 GRADING CO'S) THE 161d HAS EVER BEEN GRADED! I COINED THE NAME "THE GREEN GALLEON" SOME YEARS AGO, AS IT SEEMS TO CAPTURE THE ERA, WHICH ALSO FEATURES CAPT. COOK! NEW ZEALAND P162c 1956-67 50 POUNDS "GALLEON SHIP - CAPTAIN COOK" CGC 55PQ - FINEST KNOWN & ONLY 1 EVER CERTIFIED BY CGC IN 15 YEARS!!! 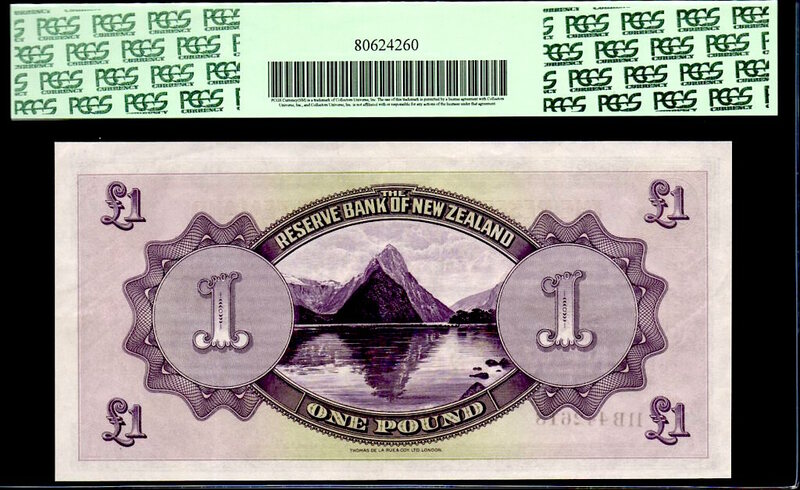 THIS NOTE TYPE IS ONE OF THE ALL TIME FAVORITES FOR WORLD NOTE COLLECTORS! IT'S CERTAINLY ONE OF MY PERSONAL FAVORITES! THIS WHOLE SET IS HIGHLY COLLECTIBLE. WE ALSO HAVE THE 10 POUNDS GOING UP IN THE EBAY STORE IN NEXT FEW DAYS IN A 67PQ! 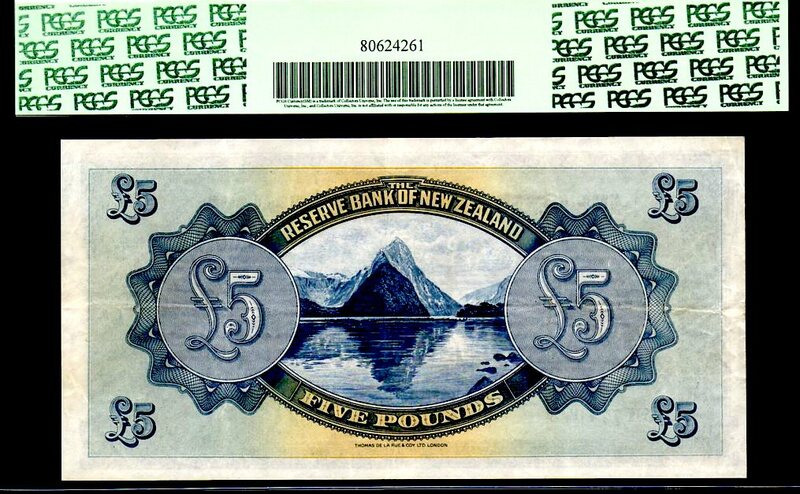 I PERSONALLY HAVE NEVER EVEN SEEN A 50 POUND NZ NOTE IN 15 YEARS OF COLLECTING AND BEING A FULL TIME DEALER AND HAVE "NOT" SEEN ONE EVER BEING OFFERED ON EBAY DURING THAT TIME AS WELL (WE'VE HAD AN EBAY STORE SINCE 1999 - 14 YEARS!). THIS PARTICULAR PIECE LOOKS LIKE A 68 TO 69, WITH IT'S WELL BALANCED, NEAR PERFECT MARGINS, RAZOR SHARP CORNERS AND FIRE ENGINE RED COLORS! THIS PIECE IS JUST STUNNING!! !